It is imperative to be well-trained and certified in a field where a lot of precision is required. 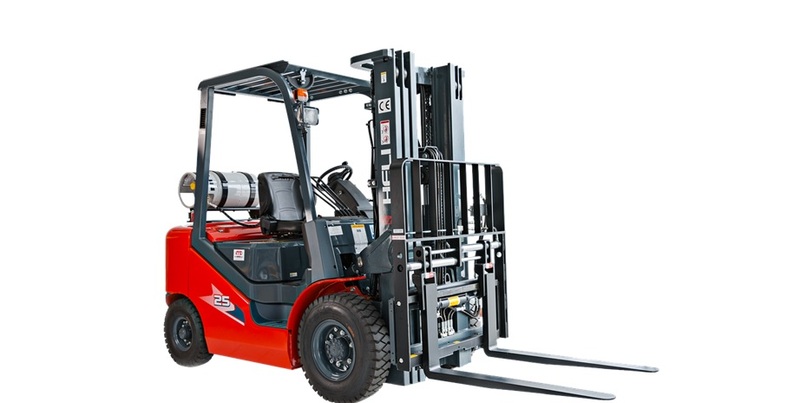 Thus, when it comes to handling heavy materials, it is essential for the person to have a forklift certification in Ottawa. If the person controlling a forklift is not trained correctly, it can result in injuries and accidents. Thus, ongoing and continuous training is essential as it can help bring a marked improvement on overall productivity levels. Workplace efficiency and safety also increases with the aid of such training’s. It is for this reason; many companies and industries hire only forklift certified people to handle this machine. It is important to note that cutting-edge technologies in this field have made it cheaper, more comfortable and convenient for forklift operators to brush up on their skills. With the digital form of exercise and learning gaining a lot of significance, many organizations offer forklift training online through the computer-aided curriculum. It makes it easier and convenient for trainers to schedule and get coursework completed easy and straightforward from a logistics perspective. Most of these courses are globally accredited and are applicable in a broader spectrum. Moreover, these tools are in adherence and fulfillment of OSHA Directives. A governmental institution, OSHA sets the standard for organizations and companies. It works by updating and employing safety practices across material handling applications. Training schools offer online computer-aided forklift operation classes that are as per OSHA practices. It helps assure skills preservation and safety awareness. Forklift Simulator help novice and advanced drivers by permitting them to fasten up and sit on the seat of the driver without any stress or tension of live training. These simulators are easy to use, totally safe and one can learn to handle and to simulate diverse material handling scenarios. This comprehensive and in-depth training helps operator who are soon going to find themselves in live article handling situations. They not only gain a lot of confidence but prepare them from any sudden, unforeseen events that may occur in their course of work. It is for this reason; forklift simulator proves to be an excellent training tool. The training method is quite robust and spectacular as it works by integrating all senses and out the candidates into 3-dimensional environs where they find themselves behind the wheel of an extensive fleet of appliances in the real-like digital warehouse. It is for this reason, this training tool is considered as the most engaging and sophisticated form of operational training technology. New modernism, the Castle Model, has been designed for enhancing and improving forklift training by several notches. The creation of this stability, capacity and leverage multi-function model helps in training candidates to find out the leverage, capacity, and stability effect. They gain a realistic experience which is not possible in CAD or contemporary safety videos. The easy to use interface has features like load disks and balance beams helping the candidates in demonstrating the impact of bulk or massive operations. It is important to note that Forklift Operator Certification and training is handled by OSHA, The Office of Safety and Health Administration. In workplaces that are making use of powered industrial trucks, it is imperative for employers requiring providing training to those who are being hired as operators. It is crucial as they must know about safe forklift operations to ensure their own and others in workplace safety. Besides making it mandatory for employers to ensure providing forklift safety training, many people can also go for this training to enhance their job prospects. With multiple training options available, there is no shortage of choices for discerning candidates. Online training is getting a lot of popularity because of its flexibility. Moreover, it is quite convenient and easy to pursue. Options, like reading training books or watching videos, can also opt. Online training supersedes others because of the convenience and flexibility it offers, helping learners to understand the basics of the job and getting ready for the job. It is crucial for the candidates to be well-trained and certified to carry out the task efficiently and safely.